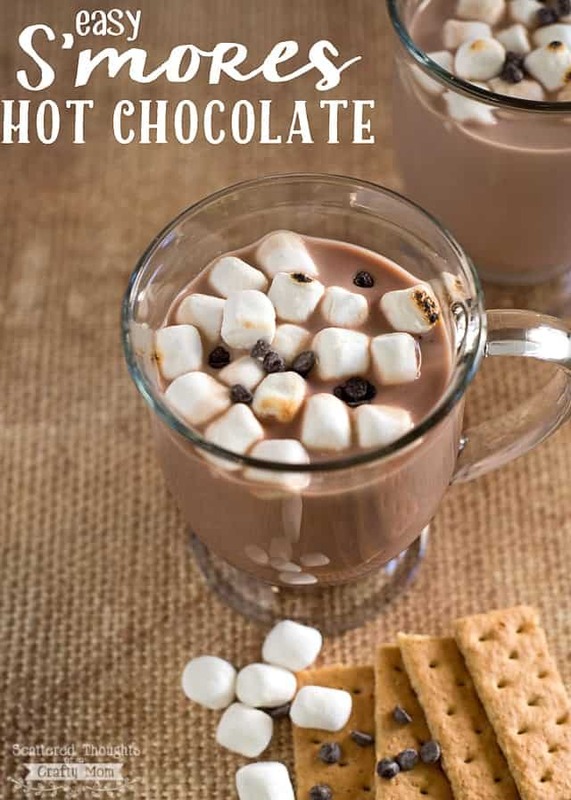 This yummy S’mores Hot Chocolate Recipe is sponsored by TruMoo. The opinions and texts are all mine. I’ve got the perfect treat for both the hot days and the cold days to share today! Have you seen the new seasonal TruMoo Milk flavor, Chocolate Marshmallow? 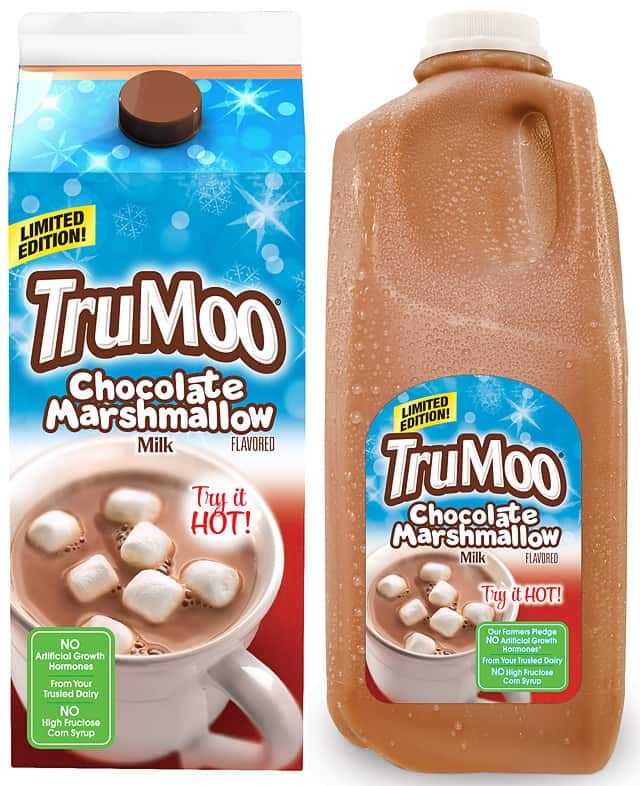 The Limited Edition TruMoo Chocolate Marshmallow milk combines the oh-so yummy chocolate and marshmallow flavors into one ready-to-serve drink. What’s so great about the Chocolate marshmallow is it is great served either hot or cold! Perfect for this time of the year! TruMoo Chocolate Marshmallow milk is available in the dairy case at grocery stores now through the end of February 2015. So be sure to grab some before it’s gone! Hot outside? Serve it icy cold. Brrr, freezing out? 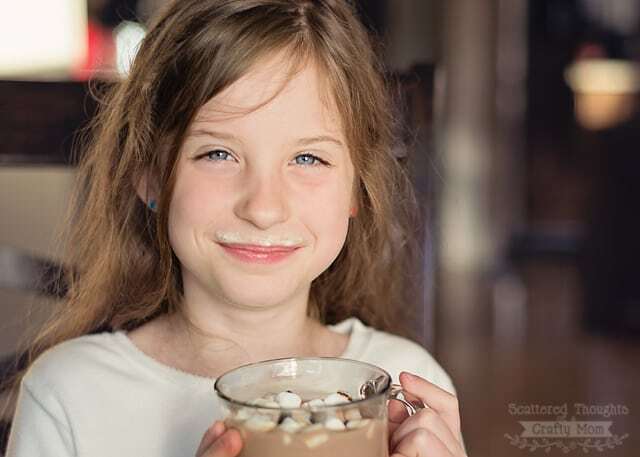 Warm up those frozen fingers and little tummies with a warm and chocolaty mug of TruMoo Chocolate Marshmallow Milk! Just like regular TruMoo, TruMoo Chocolate Marshmallow milk is made with wholesome low-fat white milk, no artificial growth hormones or high fructose corn syrup. In small saucepan over medium heat, heat TruMoo Chocolate Marshmallow milk, graham crackers and vanilla until milk is hot. Pour into mugs. Garnish with chocolate chips, graham crackers, toasted almonds and mini marshmallows* if desired. 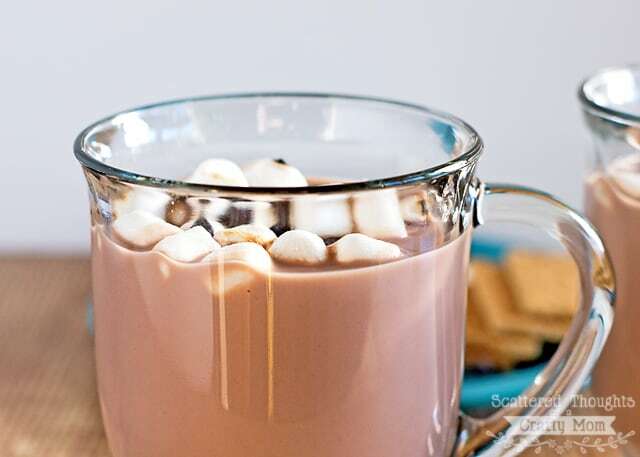 To heat in microwave oven, combine milk, graham crackers and vanilla in large glass measure. Heat on High 1 minute or until warmed through. Garnish as above. *If desired, broil mini marshmallows until lightly browned before garnishing. For more information about Limited Edition Chocolate Marshmallow milk or other TruMoo flavored milk varieties, please visit www.TruMoo.com. You can also find TruMoo on Facebook, Twitter and Pinterest.